Evan Fallenberg, author, translator and faculty co-director of the Vermont College of Fine Arts International MFA in Creative Writing & Literary Translation. 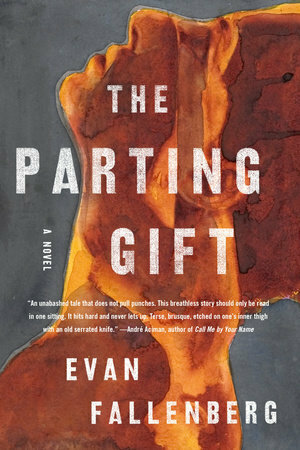 His new novel is The Parting Gift (The Other Press). One of the reviews of The Parting Gift suggests that it compels us “to confront the parts of ourselves we’d rather not look at.” This week’s Write the Book Prompt is to do just that. Write something that will compel a reader to confront something that he or she would rather not. 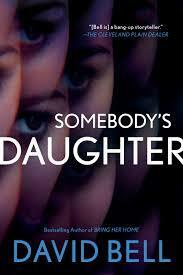 Suspense novelist David Bell, whose latest is Somebody's Daughter (Berkley). This week’s Write the Book Prompt concerns part of the conversation you just heard with David Bell. We discussed writing conflict, and the fact that even the best relationships are likely to have some conflict. Some of that centers on regular, every-day problems. As David said during our interview, these might be “money problems or kid problems or work problems.” Sometimes marriage is just about getting through those kinds of daily issues together. This week, write a scene of small conflict. Something that might occur in any marriage or relationship, even a healthy one. Consider what causes the conflict, what each person’s position is, why those positions might be at odds, even if the ultimate goals are perhaps the same. Maybe two parents are concerned about a child’s lack of interest in school. Mom wants her daughter to do more extracurricular activities, while Dad feels she needs tutoring and a real focus on homework. Both agree they want her to be happier and more successful at school, both have her best interest in mind. But they argue over the best approach. What small issues might crop up to cause a disagreement in your scene? Keep the dialogue moving, and don’t forget to describe the scene as it would look to your narrator in that moment. 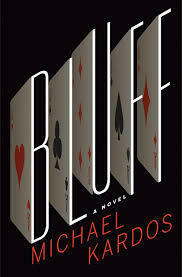 Michael Kardos, author of Bluff, published by The Mysterious Press. 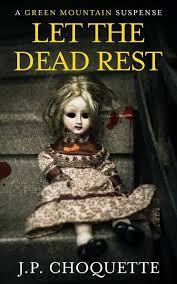 This week’s Write the Book Prompt comes from my interview with Michael Kardos. Take a hobby, something that you do and that maybe you know a lot about, and write a scene in which a character is doing that thing--your hobby--but it is not the point of the scene. It makes for more interesting possibilities in plot and execution. Your expertise (special knowledge, tools or implements, technical information) will come through and lend authority to the entire scene. 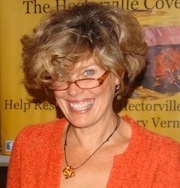 English journalist, broadcaster and novelist Elizabeth Day, whose new novel is The Party (Little Brown). This week’s Write the Book Prompt is inspired by something Elizabeth Day said in our interview. Have a look at the details in a scene you are perhaps struggling with, and see if there are words that can come out, or one aspect of detail. Ask yourself, how would this sentence read if I just took out this word, or that embellishment? Often, as Elizabeth said in our interview, it’s the most cliched word. Think of it as taking off a jangly, loud golden bracelet. Bestselling novelist Dean Koontz, whose new book, The Silent Corner (Bantam) marks the start of his new suspense series, featuring FBI agent gone rogue, Jane Hawk. This week’s Write the Book Prompt is inspired by the conversation you just heard with Dean Koontz. Early in Dean’s new book, the reader encounters this definition of the term Silent Corner: “Those who are truly off the grid and cannot be tracked by any technology, yet are able to move about freely and use the Internet, are said to be in the silent corner.” Think about how much of our activity is tracked; ATM and debit cards, credit cards, GPS technology, security cameras, and smart phones are all eminently capable of tracking our actions and movements. How do you feel about that? Does it make you feel at risk, or safe? Write a short story, an essay, or a poem using your reaction to this phenomenon as a starting point.